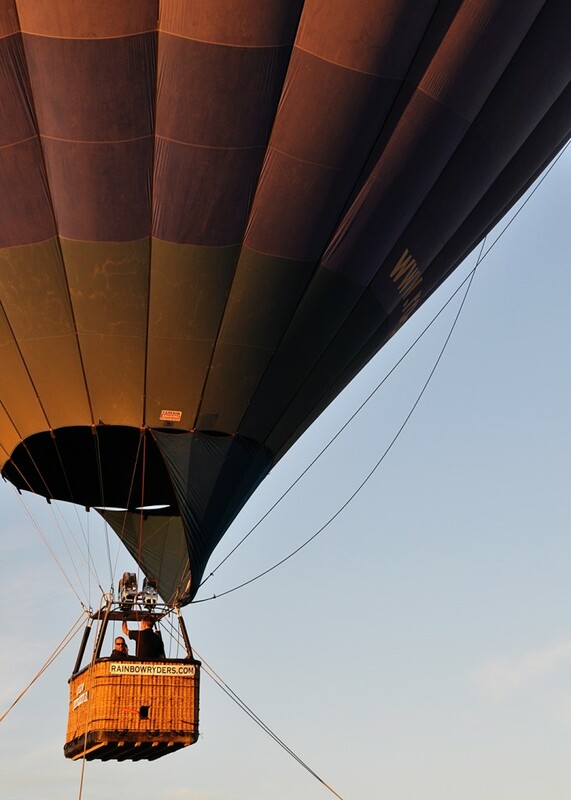 Hot Air Balloons and Choosing Happiness - Real life, on purpose. I’m an introvert; my natural tendency is to hole up at home with a blanket and a book. But that’s hardly any fun for my little ones, and even I get bored of myself sometimes. This holiday season I’ve been on the lookout for things we can do that a) don’t require a lot of effort, b) don’t cost a lot of money, and c) aren’t impossible with a preschooler, a toddler, and a newborn in tow. 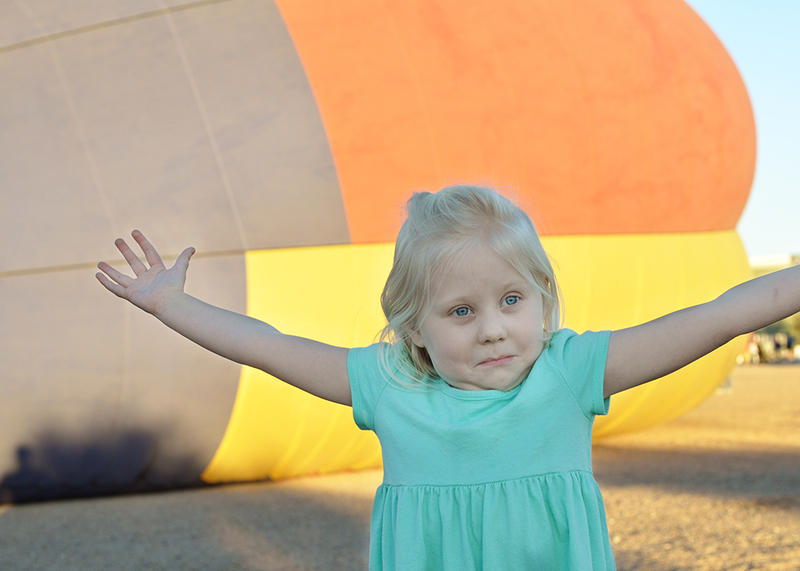 Which is how we ended up at the Holiday Balloon Glow in Gilbert. Admission was free (yes!) and, since we went in the late afternoon, there wasn’t a huge crowd (also yes!). 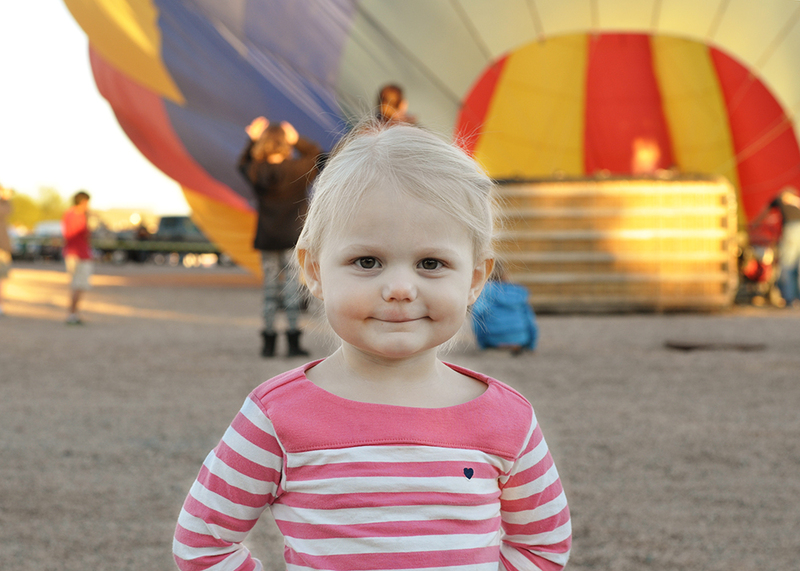 However, there also weren’t any hot air balloons out yet, and seeing them was the whole point of going. I’d failed to realize that, since the event is about the balloons glowing, people don’t start filling the balloons until close to sunset so they’ll have plenty of fuel to keep flying long after dark. We weren’t really interested in the vendors or the bouncy castles, and while Margot was happy to play in the gravel, hanging out in a mostly empty lot wasn’t exactly what I had in mind. Plus I wound up nursing Ryan on the sidewalk outside a sporting goods store. Good times. 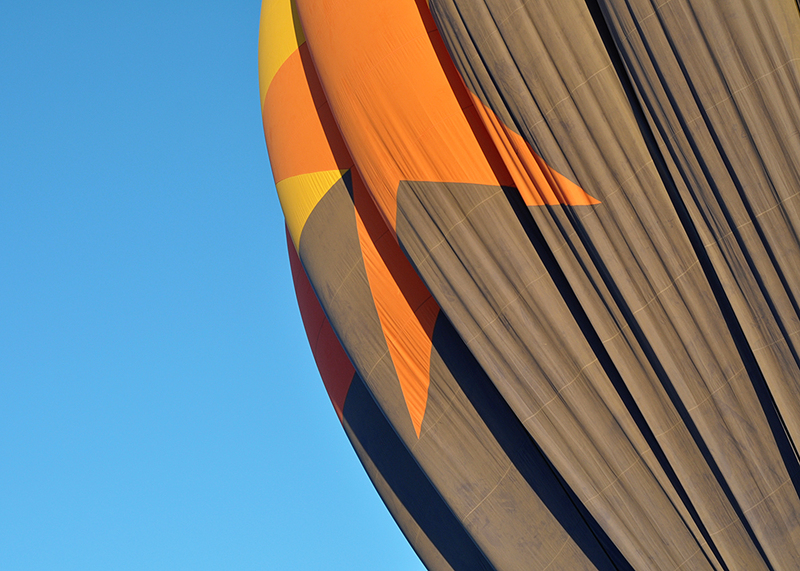 The first balloon was being inflated! The event people hadn’t yet roped off the area surrounding it, so we were able to get really close and watch it get bigger and bigger and bigger. I think I was more excited than the girls were when they lit the fire and it started to lift. It was just so gorgeous! By the time it took off, Ryan had woken up (he had happily passed out my Solly Baby wrap) and was starting to fuss. We figured that was our cue to leave. But the timing couldn’t have been better. The girls thought it had been a great adventure, David and I were so pleased that we got to see the whole thing from start to finish, and best of all, we were home in time for dinner, baths, and bedtime. My friend Eliza recently blogged about taking her oldest kids to a Messiah sing-along and I strongly identified with how she felt about the experience. She paraphrased one of Gretchen Rubin’s* Secrets of Adulthood: sometimes, in order to be happier, you have to do things that don’t necessarily make you happy. I would much rather stay home than gather diapers and shoes and jackets and cameras and water and dollars and children into the car and go somewhere, only to have to change pants and feed a baby and deal with possibly being disappointed once we get there. Home is comfortable. Staying there is easy. But here’s the thing: it’s always more fun to go out and have an adventure. Even when it’s difficult to get there and turns out not to be what I expected, I’m always so glad I went. I’m going to have three small children at home until Mila starts kindergarten next fall. David will be traveling a lot for work. This year isn’t going to be easy or comfortable. But however difficult it is, and whatever unexpected challenges arise, I know I will be happier for having spent that precious time with my babies. Here’s to enjoying the ride. I really appreciate the sentiment in this post. That sounds like so much fun! 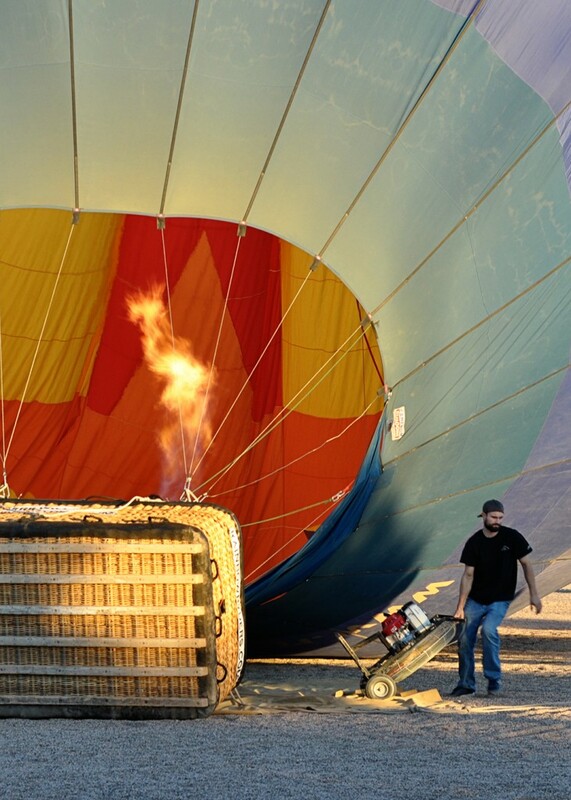 We are going to have to find more excuses to hang out with hot air balloons because they are just so cool. Yay! I'm so glad. Something else I've found is that the kids don't remember what a pain it was to get out the door. And they are happy to be home afterward. It's a win-win. Except for the pain to get out the door part. 🙂 Looking forward to your review of "Better than Before." I haven't read it yet. 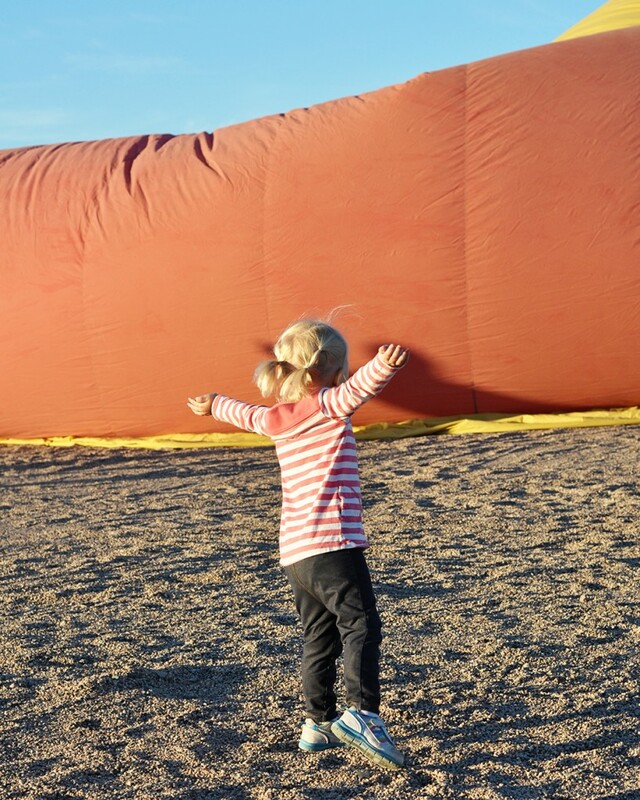 How cool that even though the trip didn't start out as planned, your family still got to see the first balloon fill… and so close!! 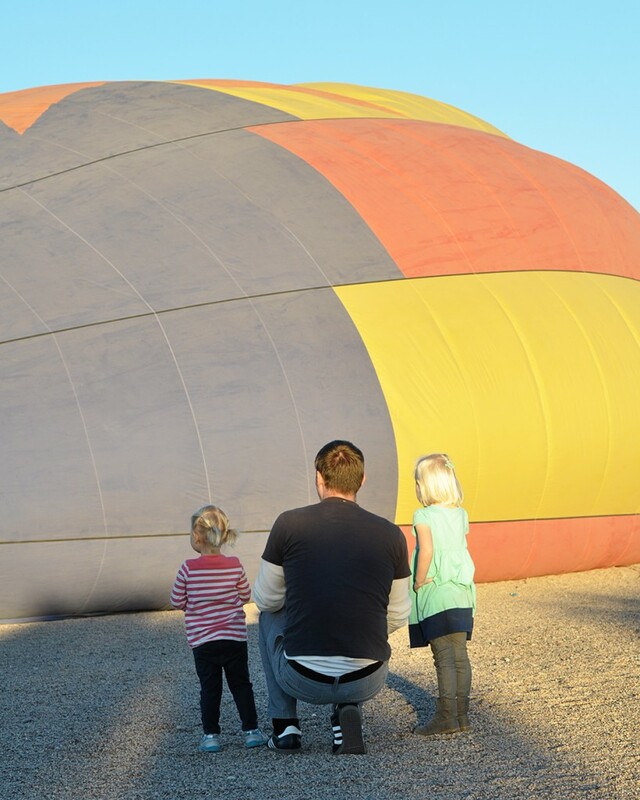 My kids love watching the hot air balloons over our home but they've never been so close! Thanks for sharing your story with choosing happy! 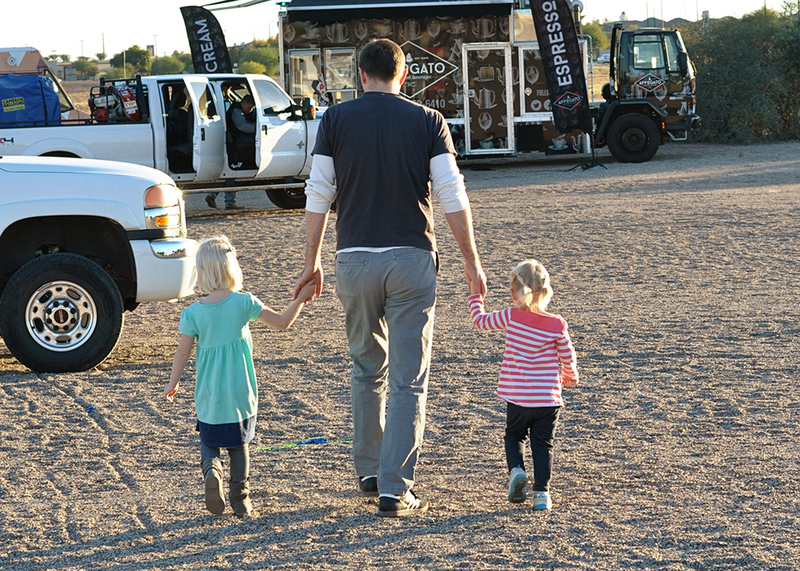 You should definitely find an opportunity to get your kids up close. Those balloons are awesome! Isn't it funny how often that happens. Always makes for good memories, even when it's a disaster! I love your comment about the next year being hard but good. Literally I just finished that exact period: newborn, toddler, older toddler. This was before Spencer started preschool. It was a hard year, but a very good one. It's kind of magical having everyone at home so much. Good luck with yours. Good to know that not only can I survive the year, it can be a magical one! Mila goes to preschool twice a week already, though, which helps immensely. Kudos to you for making it work without that respite! I am also an introvert and could stay holed up in my house forever. I'm glad to see that getting out of the house with three is possible. Sometimes it seems impossible with just one! Haha.